The building that originally housed a Fransiscan convent was converted into studios in the 90ties. 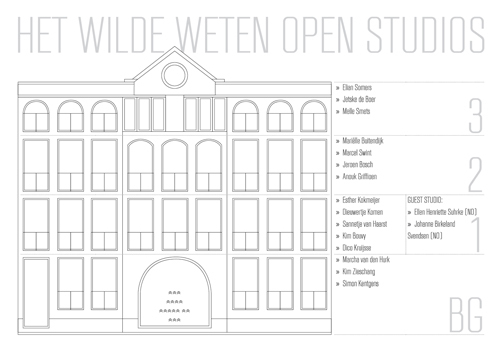 Since then the artists’ run space Het Wilde Weten offers international artists the opportunity to live, work and present their work. Last month the residential studio moved to the most special space; the former chapel. The Open Studio’s is an unique opportunity to visit the current residents Ellen Henriette Suhrke and Johanne Birkeland Svendsen who present their artists books and will serve waffles. Johanne and Ellen are also founder of the Norwegian residency Hellebou. Het Wilde Weten will serve soup.